The crystalline lens, which is found in the anterior chamber of the eye, focuses images on the retina. 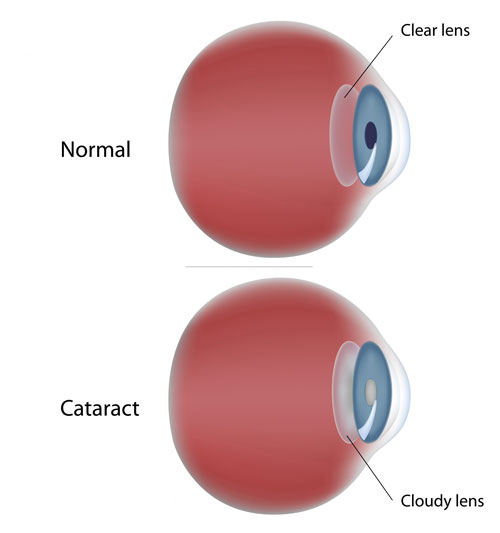 A cataract is the clouding of the crystalline lens resulting in a reduction of vision as light cannot pass to the retina. Cataracts are usually age related and may either be unilateral or bilateral. 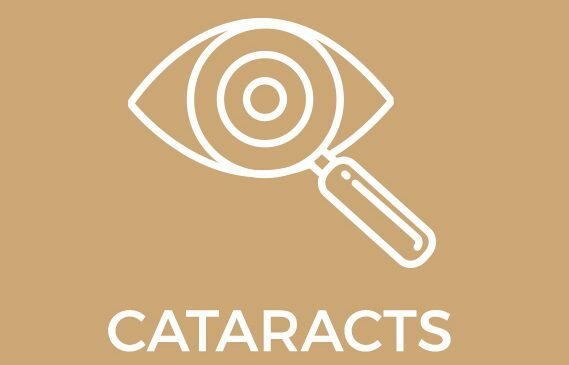 Other risk factors for cataracts include certain diseases (i.e. diabetes), trauma, medications (corticosteroids), environmental (UV exposure) and smoking. People with cataracts will often complain about reduced visual acuity, haloes, glare, poor night vision and difficulty in appreciating colours. Some people may find that they are replacing their spectacles more frequently due to changes in their vision. Cataracts are best treated through surgical removal of the cloudy crystalline lens and implantation of an intraocular lens. Subscapular cataracts are located on the back surface of the crystalline lens. They frequently occur in diabetics or patients taking high doses of cortisone medication. Nuclear cataracts are generally associated with ageing, forming deep in the nucleus of the lens. In cortical cataracts, the opacities start at the periphery of the lens and work their way to the centre. Cataracts are treated by removal of the cloudy crystalline lens using a technique called phaco emulsification. The opacified lens is broken down by an ultrasonic frequency thereby emulsifying the lens. The remnants of the lens material is aspirated and an intraocular lens (IOL) is then placed in the eye. Thanks to modern cataract surgery no sutures are required as the procedure is performed through micro incisions approximately 3.0 mm or smaller. The power of the IOL will be determined prior to surgery. 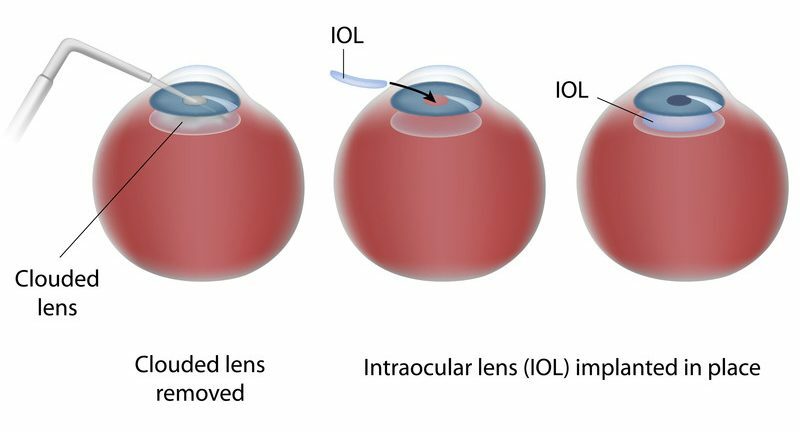 As there are different types of IOL’s available, the ophthalmologists at Sandhurst Eye Centre will go through the various options with their patients in order to determine the lens that will best suit the patient’s lifestyle and needs. Multifocal lenses are available to specific patients. Cataract surgery is a day procedure performed under local anesthetic with intravenous conscious sedation. The procedure lasts approximately 30 minutes per eye, there after a protective shield will be placed over the eye. In order to minimize the risk of infection most ophthalmic surgeons prefer not to operate on both eyes on the same day. Post-operative checks will be conducted the day after the surgery, the week after and then as the surgeon sees fit thereafter. If you need both eyes operated usually a week in between is required. Astigmatism can also be corrected with a special type of intraocular lens or with other surgical techniques such as laser corrective surgery.